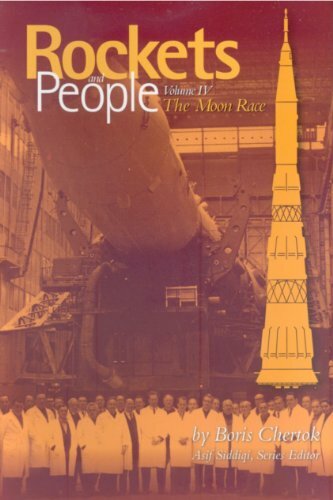 In this last volume of his four-volume set of memoirs, the famous Russian spacecraft designer Boris Chertok, who worked under the legendary Sergey Korolev, continues his fascinating narrative on the history of the Soviet space program, this time covering 1968 to 1974, the peak years of the Soviet human lunar program. The chronology of the Apollo spacecraft and the lunar mission provides documented information covering a wide range of happenings directly and indirectly related to the program. Written for historians and others interested in the great adventure. A coherent, self-contained course at the high-school level, also suitable for independent study, rich in history. It deals with the world of gravity -- of massive planets and stars, and the way spaceflight is achieved despite their strong pull. Returning to Earth after a flight into space is a challenge, and contributions from the NASA in aerodynamics, thermal protection, control, stability, propulsion, and landing systems have proven critical to the success of the human space flight.